The Body Shop wanted to try more innovative, engaging ways to reach new customers and deepen relationships with existing ones. Product sampling, prize draws, sample giveaways, surveys, and competitions…such wonderful concepts, but so difficult to execute at scale! They turned to us for a solution that would make it all manageable, and Forms Builder was the answer. With our landing page solution, Shaw + Scott Labs Forms Builder, The Body Shop builds dynamic, on-brand modular forms in just minutes. Each module can be fully customized – with almost all creative control left in the hands of the marketers. “Launching the solution for us across 16 The Body Shop markets was certainly not an easy task! The team was very supportive and went the extra mile – from start to finish and always with a smile,” said Matthias Toebben, Senior International Customer Marketing Manager for The Body Shop. 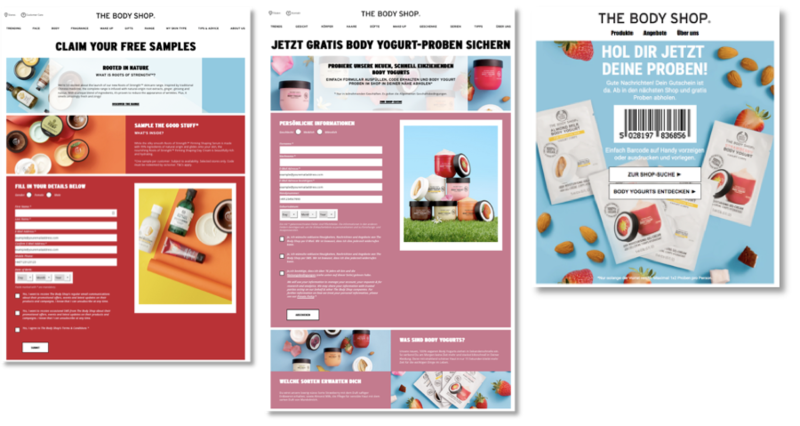 In their first five months of using Forms Builder, The Body Shop engaged 188,000 total contacts via incentive or signup (including 16,000 new contacts) – and 1.5% of their global mailable customer base claimed an incentive. And the customers who opened these emails loved them: A follow-up campaign drove 74.33% open rate! The functionality couldn’t be easier: Forms are fully mobile-responsive, based off templates that require no additional QA processes, and Forms Builder directly integrates into ESPs to capture data and send multi-channel messages. An intelligently designed UI enables smooth creation, management, and previewing of campaigns. Reach out to learn about the full functionality of Forms Builder and how it might fit your organization’s vision by contacting Shaw + Scott at +1.520.762.4842 and press option 1, or reach out through our simple contact form. Senior Vice President. Aaron is an accomplished marketing technology leader with a proven track record leading successful teams in high paced environments. 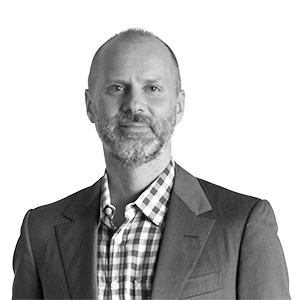 He has worked with marketing executives at some of the world’s largest brands including: Amazon.com, Williams-Sonoma, Orbitz, REI, Verizon, Microsoft, Costco, Safeway, Yahoo, General Mills, and Virgin America. Previously a principal and co-founder at Smith-Harmon, an award-winning digital creative agency, which was acquired by Responsys in 2009, he is a frequent speaker at marketing industry events, served as a member of the Email Experience Council's Deliverability and Rendering Roundtable, and contributed to a number of industry publications including MediaPost's Email Insider column. He has appeared on FOX News, and numerous trade publications.